Origins of how Homecoming started and how it has influenced Missouri Baptist University Homecoming activities. Homecoming is a long-standing college tradition in the United States since the early 1900s. It includes activities for students and alumni, such as sports and culture events and a parade through the streets of the city or town. Many activities are put into motion by the school, but everything surrounds the football game between the school and its opponent. According to Michael Cramton, a contributor for Active.com, a number of colleges claim to be the originators of homecoming, including Baylor, Illinois and Mizzou. In 1909 Baylor University invited alumni to return to their alma mater to “renew former associations and friendships, and catch the Baylor spirit again,” Cramton said. Originally titled “Good Will Week,” the event was scheduled for Thanksgiving weekend, and included a program of class reunions, speeches and concerts, as well as a formal dance, parade and football game. Virtually the entire town of Waco, Texas, was in attendance at the parade. “In 1910 two Illini seniors, Clarence Williams and Elmer Ekblaw, began planning an event centered around the annual Illinois-Chicago rivalry game,” Cramton said. Support for the event took hold among the student body, faculty and local businesses. This first homecoming would be an experiment, the success of which would determine the future of the school’s homecoming. It turned out to be an event bigger than anyone had anticipated, said Cramton. The alumni and students totaling 12,000 witnessed a 3-0 victory for Illinois. Brewer planned a celebration with parades, parties, a pep rally and a football game against Mizzou’s long-time rival, the University of Kansas. More than 10,000 alumni and fans attended the event, Cramton said. Officially sanctioned by the NCAA, Jeopardy and Trivial Pursuit as the originator of homecoming, the University of Missouri is proud of its long-standing homecoming tradition, according to Cramton. This weekend Missouri Baptist University will host its second annual football homecoming and will have a wide variety of activities before and after the game. 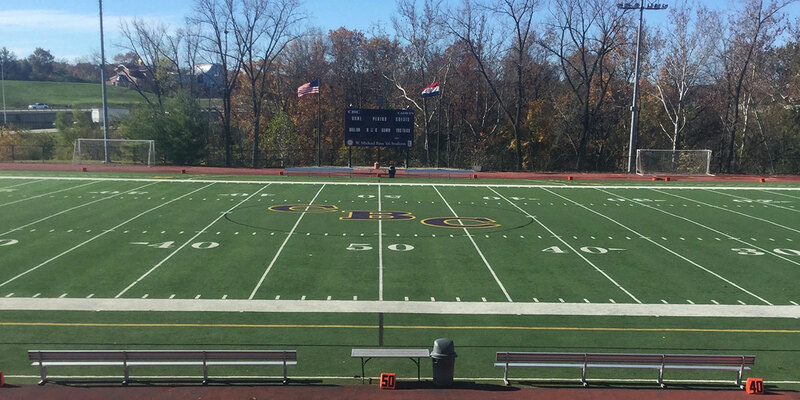 The Spartans football game will take place at the Christian Brothers College football field located next to the MBU campus. There will be tailgating located in Parking Lot E, just a short walk from the stadium, and spots cost $10. A corn hole tournament will take place in The Quad during the tailgate from 9:30–11 a.m. The cost is $5 per team for Missouri Baptist students and $10 per team for everyone else. To add an extra incentive for teams to compete, first and second place will receive prizes. From 10–11:30 a.m, there will be pre-game festivities including food trucks, lawn games and face painting in Rally Alley. The MBU Spartans will take on the Concordia University Cardinals from Ann Arbor, Mich., and kickoff is scheduled for noon. Following the game there will be a homecoming barbecue located in The Quad, catered by Pappy’s Smokehouse. John Hough is a staff journalist for MBU Timeline, majoring in journalism. He has been a contributing writer for Riverbender.com in Alton, Ill. John is from St. Louis. He enjoys reading, traveling and covering local high school sports. After graduating, John would like to pursue a career in sports journalism and his dream job would be getting a position as a sports writer for the LA Times in Los Angeles.